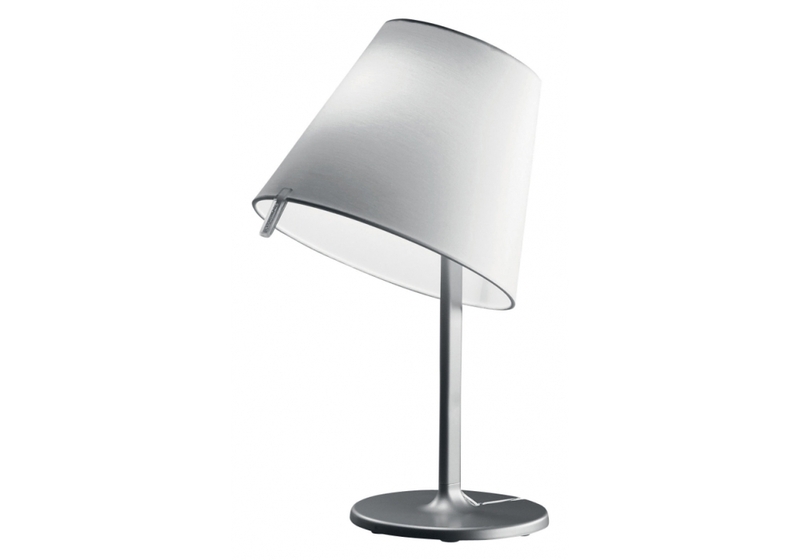 Artemide, Melampo table lamp: Melampo is a refined and very clever lamp. 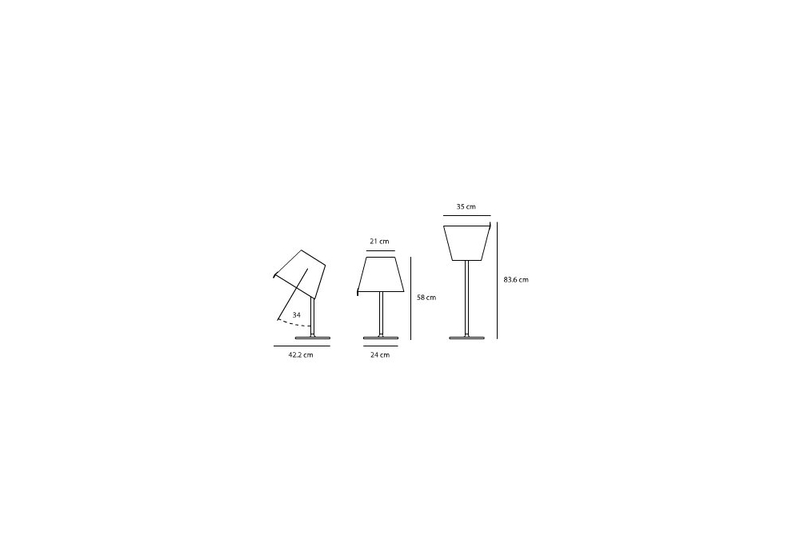 The diffuser presents a slit that enables to direct it in three diferent positions : diffuse and direct light low or diffuse and direct light orientated or diffuse and indirect light. 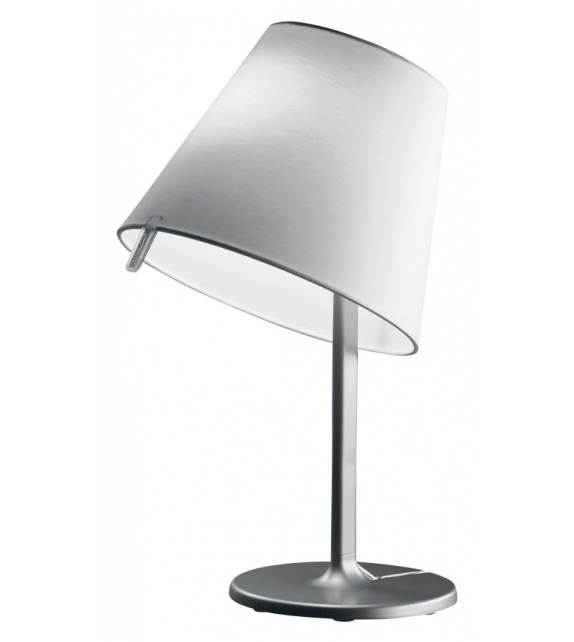 Artemide, Melampo table lamp: Melampo is a refined and very clever lamp. The diffuser presents a slit that enables to direct it in three diferent positions : diffuse and direct light low or diffuse and direct light orientated or diffuse and indirect light. 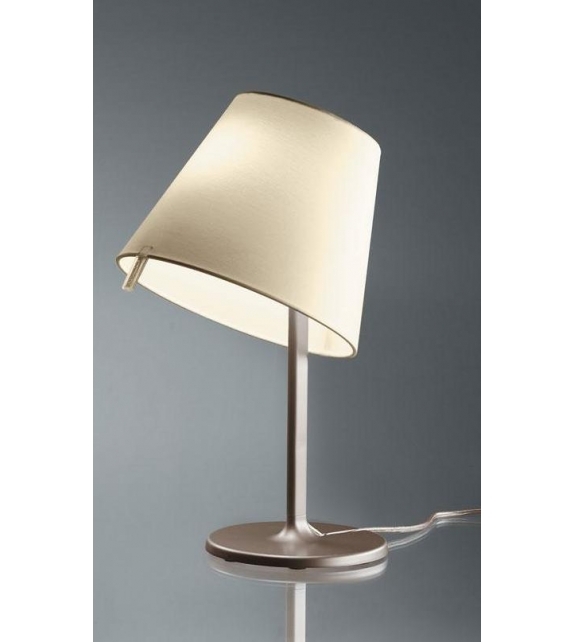 A brilliant system that offers the pleasure of varying lightings easily and according to desires. Lastly, Melampo affirms its elegance by its line and its materials. 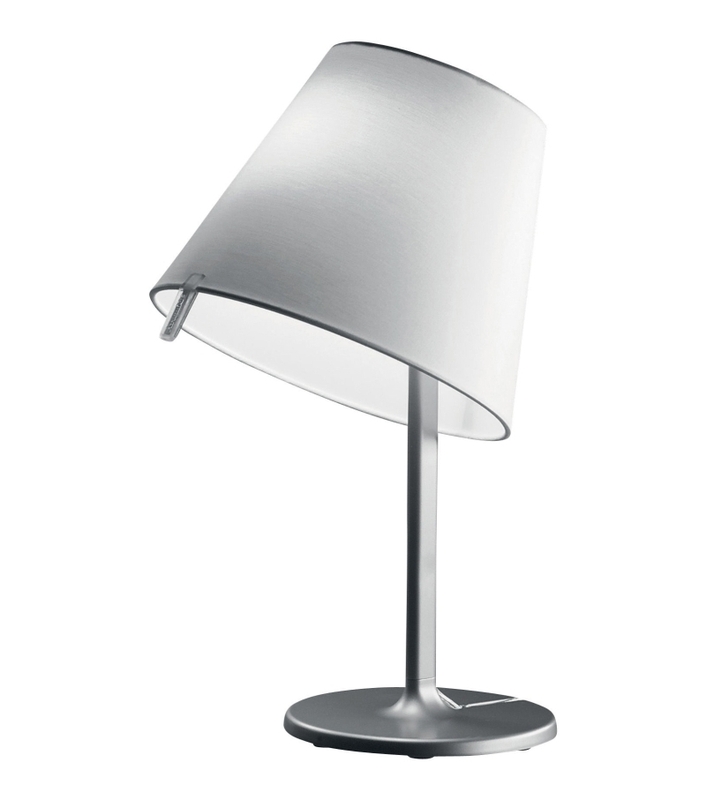 The diffuser is out of gray satin, the aluminium structure and the base in zama varnished. 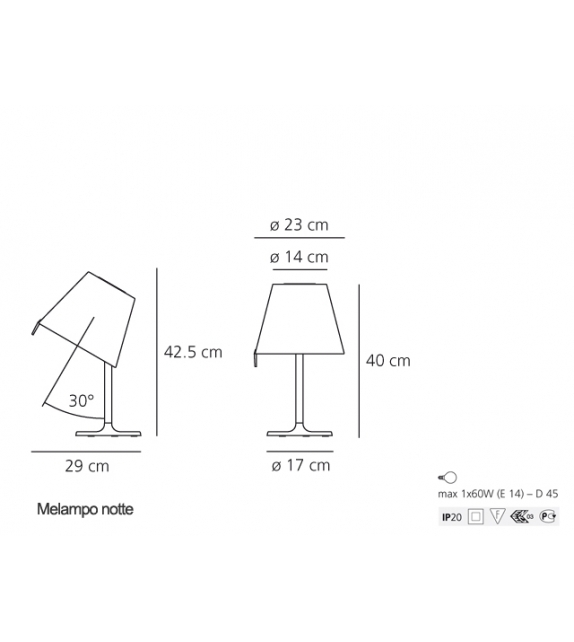 The performances of the Melampo lamp are also proposed in a bedside version. 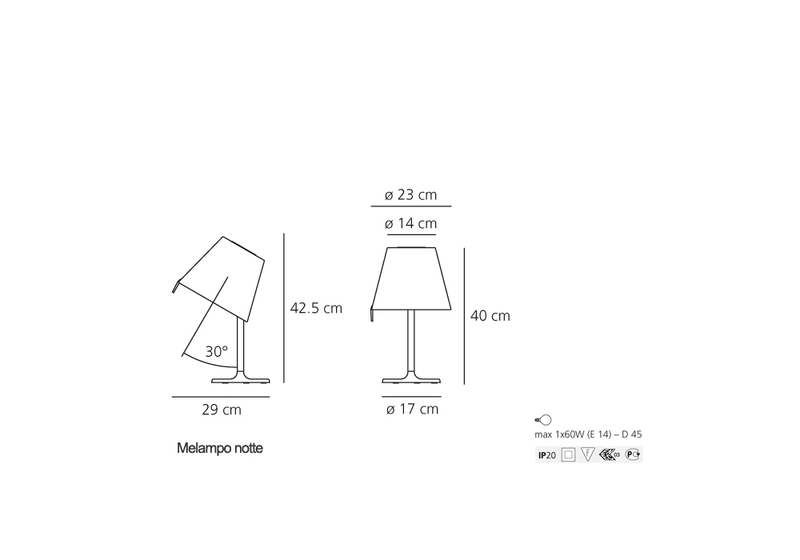 Melampo Notte is a superb small lamp, as refined and clever as her older sister. The diffuser presents a slit that enables to direct it in three diferent positions : diffuse and direct light low or diffuse and direct light orientated or diffuse and indirect light. A brilliant system that offers the pleasure of varying lightings easily and according to desires. 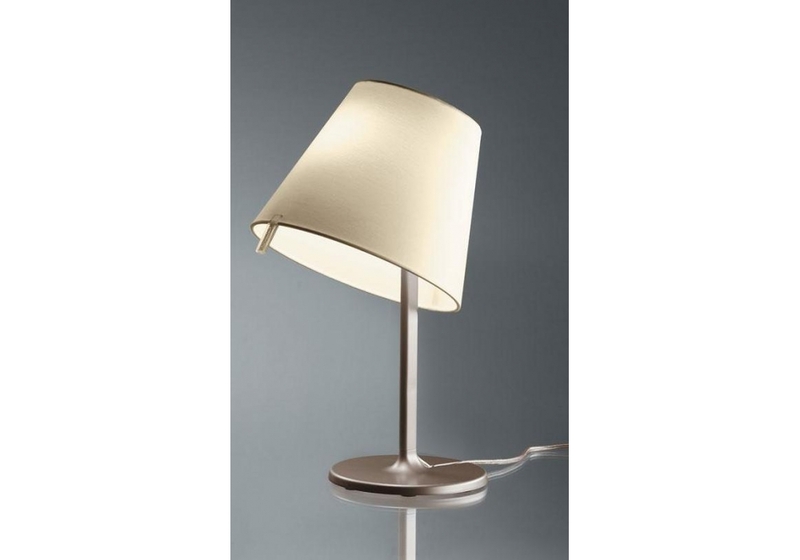 Lastly, Melampo Notte affirms its elegance by its line and its materials. The diffuser is out of gray satin, the aluminium structure and the base in zama varnished.